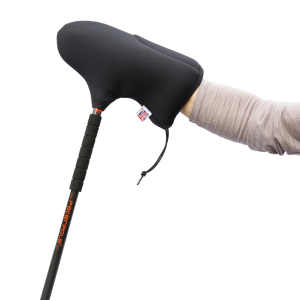 PACERPOLE-SHORT-OVER-MITTS are a lightweight (22gm each) cropped version of the insulated neoprene Over-Mitt and made of a waterproof/windproof material used in the water-sports industry. 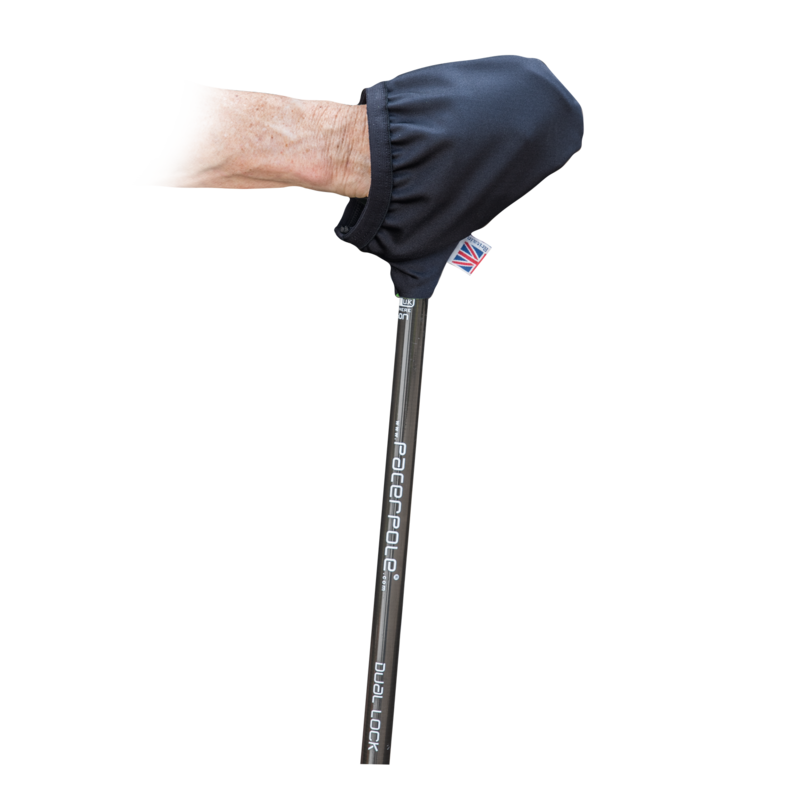 Their cropped shape is streamline and can be easily rolled into a small space to stow in a pocket or pac if uncertain about weather conditions i.e. the wet and/or wind chill factor later in the day. They offer the benefit that the hand can be freed immediately for use and then returned to the ‘shelter’ inside the mitt again. The cropped shape allows for the back of the hand to remain ventilated. When wanting to quickly stow the mitt on the pole (see image in the product gallery) just pull the mitt back over the handle alone i.e. it remains on the shaft but note that the edge of the cuff is just trapped between the black toggle and the back of the handle to secure it to stop it ‘flopping around’. Wash in plain warm water inside-out and dry naturally (out of direct sunlight). Store inside-out somewhere dry/well ventilated. 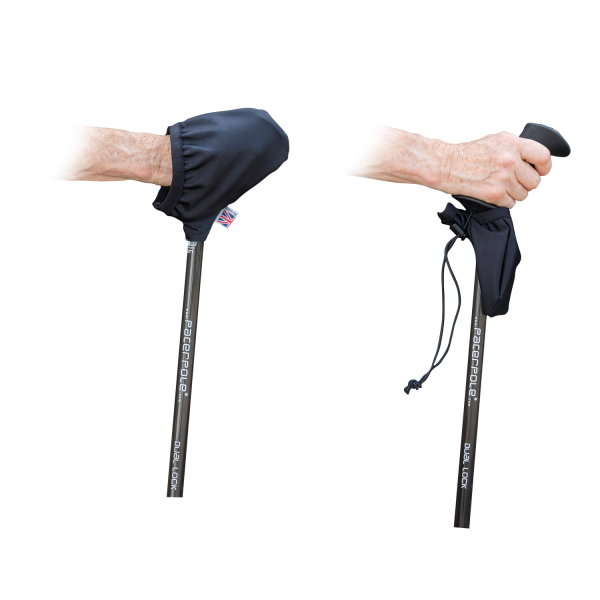 The Over-mitt and the Short Over-mitt are for use with all pacerpoles. They are both assembled in the same way; to view a brief film clip about this Click Here.